Although it will obviously cramp my gloomy, dour pessimistic persona I'm pleased to announce the fact that Gun Street Girl has been shortlisted for the 2016 Edgar Award (best paperback original). It's my first time ever getting shortlisted for an Edgar so I'm actually pretty damn thrilled. 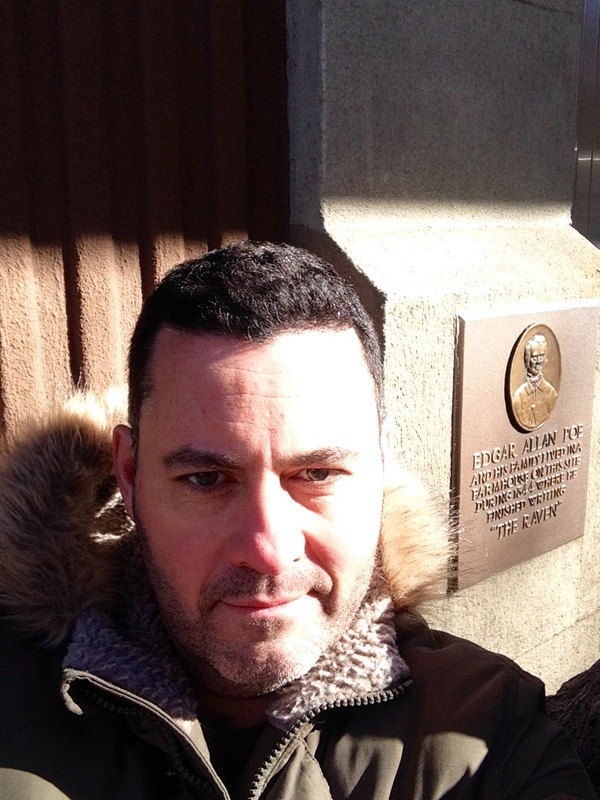 This morning I got a can of Guinness and walked over to West 84th Street where Edgar Allan Poe used to live (the house is long gone but the site can't be missed cos there's 2 massive stone ravens outside it) and had a quick, sneaky can of the black stuff in the 22F (-6C) air. I gave Edgar and the ravens some too and they seemed to appreciate it. Cheers also to Gordon McAlpine my stable mate at SSB who is in my category and to my old buddies Val McDermid & Michael Robotham who got shortlisted in other categories.